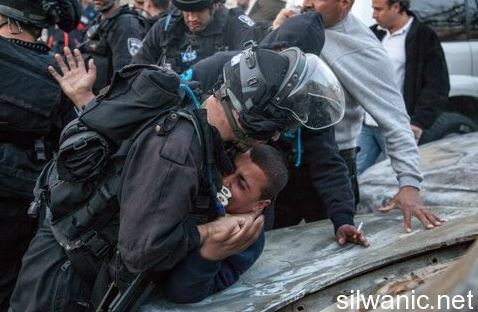 Clashes took place, on Wednesday evening, in Silwan town in occupied East Jerusalem, after Israeli soldiers attacked Palestinian youths and families protesting near the al-Malhi building that was taken over by Israeli extremists, funded by Elad settlement group. 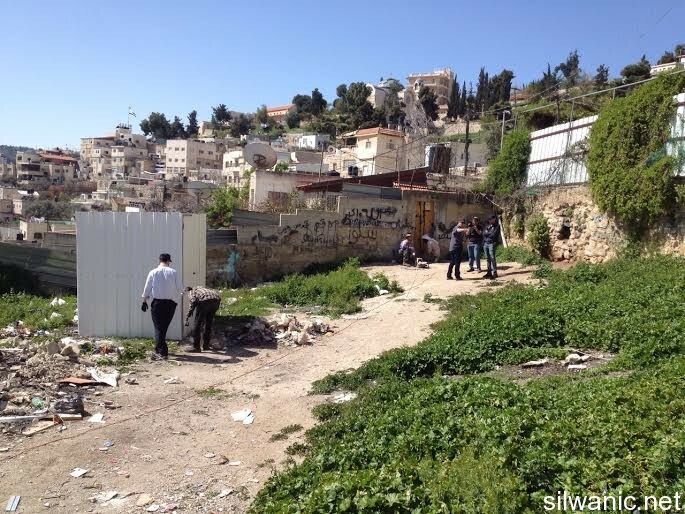 The Wadi Hilweh Information Center in Silwan (Silwanic) said members of the al-Malhi family (the mother and her children,) tried to enter the home of her brother-in-law, the only apartment that the Israeli extremists have not been able to take over, but were violently attacked. Later on, local youths gathered in the area, and managed to enable the family to enter the apartment, before dozens of soldiers arrived at the scene, and started firing gas bombs and rubber-coated metal bullets. The soldiers also pushed, and beat, and number of youths, and kidnapped a child, identified as Ibrahim al-Malhi, 15 years of age. Earlier on Wednesday, Israeli extremists broke into the building and occupied three of its four apartments. More information and details found in this link. Nine Palestinians were injured Wednesday afternoon, after Israeli forces opened fire on protesters at al-Jalazun refugee camp, north of Ramallah. Israeli soldiers shot 20-year-old Palestinian Ali Mahmoud Safi in the chest with a 0.22 caliber bullet during the protest, according to Ma'an. The bullet exited his body through the back, and the youth was reportedly in serious condition as of Wednesday evening. Locals said three other protesters were struck by live bullets, and five by rubber-coated steel bullets. The protest reportedly began after locals gathered in opposition to the construction of a wall between the refugee camp and the nearby "Jewish-only" settlement of Beit El. Beit El is strategically located on a hill at the northern edge of Ramallah, blocking free movement for local Palestinians to and from the city through a checkpoint. The most direct road north, meanwhile, is off-limits to Palestinians. An Israeli military spokeswoman confirmed the shooting. "There was a riot of 50 Palestinians in Jalazun," she told Ma'an, adding that "rioters hurled rocks at the soldiers and they responded with riot dispersal means." "Upon their refusal to vacate the area and refrain from further violence, they fired a .22 caliber round toward the main instigator," she said. The spokeswoman refused to comment on how the protest had begun or why the soldiers were in the area immediately beside the camp. Gaza Division spotted and disabled an explosive device on the Gazan side of the security fence that they believe was planted in the past few days or weeks. The IDF disabled an explosive devise on Wednesday afternoon that was laid out about 100 meters away from the security fence on the western side (Gaza side) in the northern Gaza Strip. There were no injuries or damages during the operation. The event was a rare one to occur along the border with Gaza since the end of Operation Protective Edge about half a year ago. The explosive device planted to target soldiers was also an unusual find. The IDF assesses that the explosive device was laid out in the last couple of days or recent weeks. Ever since the explosive device was discovered in the area between the Gazan neighborhood of Sajaiyeh and the Israeli Kibbut Nahal Oz, a lookout was established to monitor the device. After the device was disabled, it was taken for further examination. The explosive device was set up on the Gaza "perimeter" – an area close to the security fence which Palestinians are prohibited from entering and moving about in. This restriction is violated on an almost daily basis, even on the Israeli side, by shepherds who approach the fence. On the Gazan side, Palestinian activists or Palestinians who attempt to cross the fence on purpose, in order to get caught and remain in Israeli prisons instead of in Gaza. In these cases, IDF soldiers shoot warning shots in order to distance those who come close to the fence. For this reason the fence was expanded between Israel and Gaza – at certain points it was replaced with a new fence that is 8 meters taller, similar to the fence that was built on the border with the Egyptian Sinai. The IDF has also identified movement by Hamas militants near the part of the fence bordering Kibbutz Nahal Oz. According to the IDF, some of the militants were spotted armed with Kalashnikovs, who attempt to keep order and distance away Palestinians who try to get close to the fence. "We are prepared for any scenario, from a sniper attack like the one two months ago to a terrorist attack from a cave that could involve several terrorists," an officer from the IDF's Gaza Division told Ynet. "That's why we practice these scenarios often and do not let the relative calm mislead us. For us, the preparations are for an attack with no warning signs in advance," he continued. The Gaza Division predicts that Hamas has rearmed itself since the summer war and has not stopped building new terror tunnels or the production of rockets of varying ranges. "We spotted Hamas training sessions in the strip – there they train their activists," added the IDF officer. 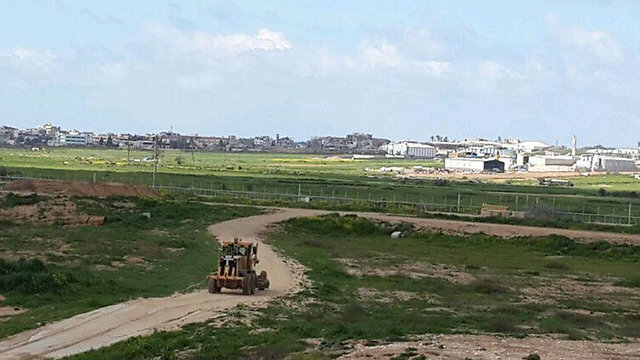 On a daily basis, the IDF officer can see, without binoculars, what the residents of Nahal Oz and Netiv HaAsara can see from their windows: Hamas is rebuilding itself once again with new fronts to replace those that were destroyed by the IDF during the past summer's ground offensive. In the neighborhood of Sajaiyeh, close to the Israeli Kibbutz of Nahal Oz, Palestinian tractors built new defense infrastructure and military positions close to dozens of homes that were destroyed from tank shelling and IDF machine guns. Unlike the end of Operation Pillar of Defense – Palestinians gained the expansion of fishery and agriculture at ease – this time the IDF believes that Hamas has nothing to lose in the absence of any achievement from Operation Protective Edge. Aid money is coming into the Strip at low percentages, thousands of homes have been left destroyed and rehabilitation remains in the hands of Israel, through the Kerem Shalom crossing that will likely lead to the next round of escalation. Israeli Occupation Forces (IOF) raided in the early morning hours of Wednesday different areas in the West Bank and abused Palestinian citizens in the process. 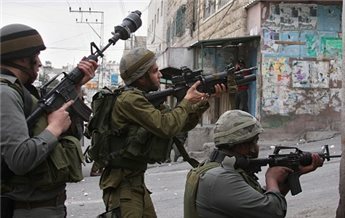 Local sources said the IOF soldiers stormed at dawn Wednesday Yabad town in Jenin, abused inhabitants, and took photos of the town’s various neighborhoods. 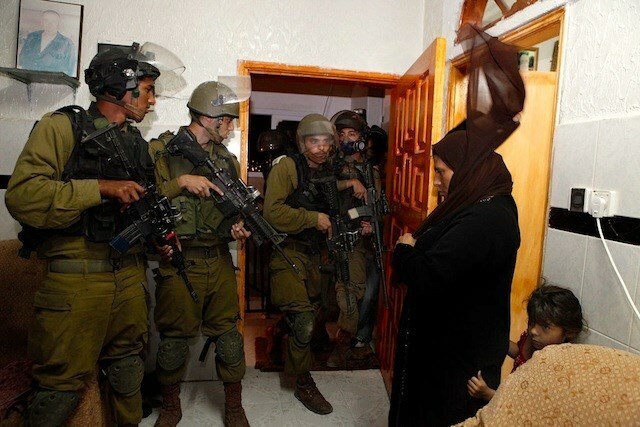 The sources added that the soldiers broke into and wreaked havoc in a house of one resident of the town and subjected him along with his family to field interrogation by an Israeli intelligence officer. In the same context, the IOF raided at an early morning hour the Fari’a valley area including Fari’a refugee camp in Nablus. Eyewitnesses revealed that a large number of the IOF soldiers escorted by military vehicles stormed the region and opened fire inside the refugee camp. Confrontations, as a result, took place between the camp’s residents and the Israeli soldiers with no casualties reported. In al-Khalil city, the IOF military vehicles raided the city center of al-Khalil in the southern West Bank Wednesday morning. Eyewitnesses told the PIC reporter that the IOF soldiers in three military vehicles stormed downtown al-Khalil and roamed the streets with no arrests or summonses reported. They highlighted that the forces of the Palestinian Authority were absolutely absent from the scene based on orders by the Israeli authorities. 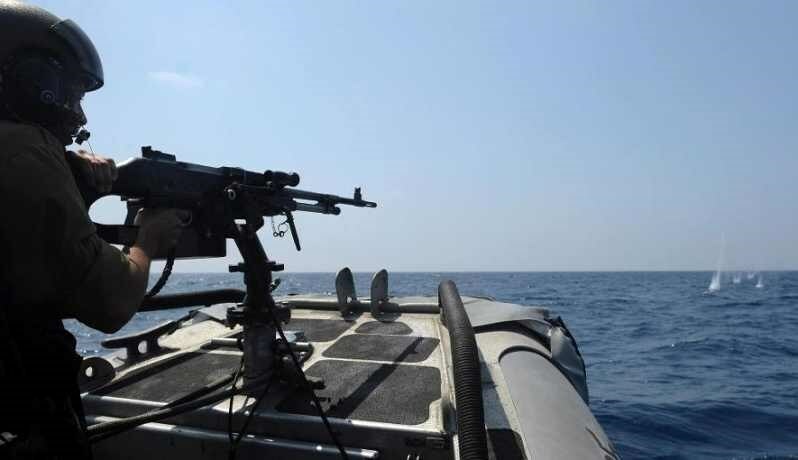 Israeli navy gunboats opened heavy machinegun fire at Palestinian fishing boats while working off the coast of Gaza at dawn Wednesday. Palestinian sources told Quds Press that a number of Israeli gunboats opened fire at the Palestinian fishing boats off the northern Gaza Strip coast. They said that the fishermen were forced to return to shore due to the intensive firing without completing their work. No casualties were reported among the fishermen. The gunfire attack is the latest in a series of breaches of the ceasefire agreement signed in Cairo last August between the Palestinian resistance and Israel. Palestinian medical sources have reported, Wednesday, that a man was injured after Israeli soldiers attacked him on a military roadblock, near Beit Sahour, in the West Bank district of Bethlehem. Army invades Ya’bad town, near Jenin. The sources said that resident Mohammad al-Bal’awi, in his thirties, suffered various cuts and bruises, and was moved to the Beit Jala Governmental Hospital, in Bethlehem. Al-Bal’awi is from the Deheishe refugee camp, south of Bethlehem. 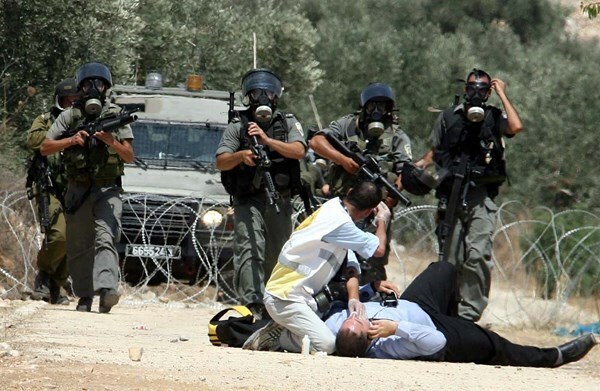 He was attacked by soldiers who installed a sudden military roadblock near Osh Ghrab area, east of Beit Sahour. Eyewitnesses said the soldiers were punching, kicking and beating him. In related news, several Israeli military vehicles invaded Ya’bad town, southwest of the northern West Bank city of Jenin, held a family and searched their property. Local sources said the soldiers drove their vehicles in different neighbors, during early dawn hours, Wednesday, and broke into a home belonging to resident Rafiq Nayef Abu Bakr, before interrogating him and his family, no arrests were reported. The Israeli occupation forces (IOF) apprehended two Palestinian citizens for creeping through the border fence with Gaza and opened machinegun fire on Gazan lands in a renewed violation of the Cairo-brokered ceasefire deal. 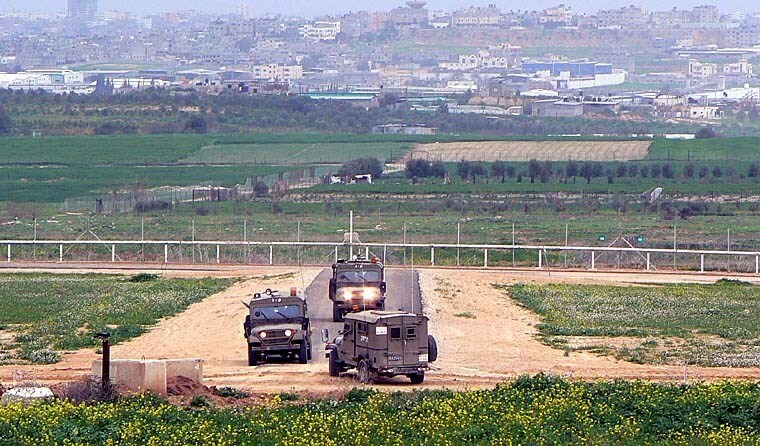 A PIC correspondent quoted eye-witnesses as reporting that the IOF abducted two Palestinian youths who infiltrated the borders with Israel, moments before they showered Palestinian land lots east of the Bureij refugee camp with heavy volleys of machinegun fire. The IOF kept reportedly chasing down the youngsters for dozens of meters before they ultimately captured and dragged them to an unidentified destination. Meanwhile, IOF troops deployed across the West Bank kidnapped the coordinator for the anti-settlement popular committees Mohamed Muheissen at a military checkpoint erected in Ramallah city, activist Yousef Abu Mariya told the Quds Press. Muheissen was transferred to a detention center in the Israeli illegal settlement of Ma’ale Adumim pending further interrogation. The Israeli Occupation Forces (IOF) brutally assaulted head of the Fatah youth movement in occupied Jerusalem, Ahmad al-Ghoul, during the election campaign of the student council in al-Quds University in Abu Dis. 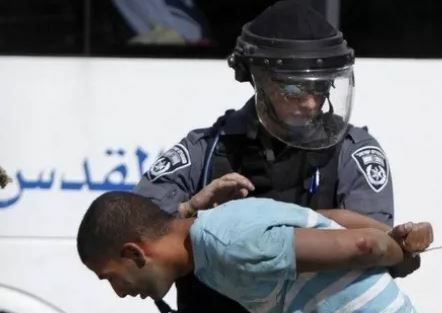 Dozens of Israeli soldiers have savagely attacked a number of youths while trying to set up a tent in al-Quds Gate from which the election campaign was planned to kick off, al-Ghoul said after being transferred to hospital for treatment. The youth movement in occupied Jerusalem has chosen to launch its election campaign from al-Quds Gate to prove the movement’s youths insistence to preserve Palestinian land and to defend it, he pointed out. A group of local young activists had pitched a tent east of Abu Dis and called it al-Quds Gate to protest Israeli confiscation of Palestinian land in the same area, but the tent was removed by the Israeli forces. Those present were planting trees, cooking food and singing before the soldiers rushed in with their guns to disperse the peaceful gathering. One man can be seen to faint, during the raid, and is carried to patch of land on a stretcher as soldiers threaten with their weapons and shove participants this way and that. What happens next is unclear, as a panic begins to surface within the crowd, the camera shaky. An argument is heard to erupt over what is to become of the fainted man. The scene ends with the young soldiers carrying the man away and, then, dropping him to the ground.